Need a little more sugar? It’s that time of the year again. SeekingArrangement is hosting its annual mixer. 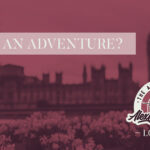 Each year our events not only provide an opportunity to network or find a new arrangement, but also a way for the SA team to get some much needed face time with you! It will be an event like no other. SeekingArrangement will be celebrating its 10th year anniversary at Hollywood’s posh rooftop club, Bardot on May 20th. Come sip champagne and dance the night away above the City of Angels at this historic theater, which boasts a glam Old Hollywood vibe & a covered patio. Attire: Please wear upscale attire only. Ladies, formal or cocktail attire with heels. Gentlemen, formal or cocktail attire. No jeans, sneakers, or t-shirts. What else is sweeter? There will be no media at the party. In the past, we have invited media so that these events could serve as a way to educate the public about arrangements. However, this will not be the case at this event. The intimate engagement will host 300 guests who will be treated to an exclusive lounge atmosphere–perfect for getting to know a new Daddy, Baby, or sharing your thoughts and suggestions with one of our own. Hurry, presale tickets to the SeekingArrangement party are available for a limited time. VIP Tables, which include four tickets to the party, one bottle, exclusive VIP access and reserved space, are also still available. Buy your tickets here. We hope to see you there. If you have any questions about the event, call +1 702 302 9369 or email [email protected]. 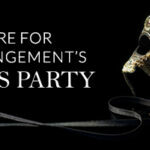 Will you be attending SeekingArrangement’s 10th Year Anniversary Party? This sounds like a great party. What a great opportunity to meet other members and desirable Sugar Babies. LA is a great place to host an event like this. Would be nice if there is an event in florida or east coast too..
SA make it so hard to connect to each other.. I am a recent graduate young professional guy looking for a mature handsome executive daddy type. Its possible make one in Bogotà-or Buenos Aires!?? Could a nice opportunity for meet new people. Any young ladies want to split uber and Airbnb or hotel if you are from out of state? Coming from New York. We can meet at lax airport. In fact, i have a friend who has a guesthouse near Malibu so I can take a plus 1 for weekend trip. Otherwise, 3 of us save until we mr. Right now. I might just take you up on your offer!! How much is this event? How far in advance do I need to purchase a ticket? Traveling from Tucson so i’ll need a plane ticket and I need to know asap so I can plan accordingly. I can’t believe that SA has “upgraded” the site and made it almost un-usable. I, for one, will be asking for a refund. Totally agree. I use an iPad and I have given up. I’m excited! I want to go! do you have to be 21 to enter the party? asian maid – what is wrong with you? Hello. It would be nice to assist this event. Let’s get in touch. Better be desperate than an asian maid. The May 20th SA party in LA sounds like lot’s of fun. I would like to invite a Sugar Baby to join me but it would seem like bringing ants to a picnic. On the other hand ???? Can anyone tell me what is the purpose of these gatherings? Is it to meet POTs or not? I’m guessing locals use it to find POTs. Why wouldn’t you? You instantly know if theres chemistry, and you have plenty of time to talk without privacy worries, everyone there is there for sugar after all. If I lived anywhere from LA to Vegas I’d be there. Smart to keep the press away, it’ll make it much more accessible for anyone who wants discretion (with sugar that tends to be everyone). looks like almost two whole minutes to me! My eyes did see it first though, it’s just that I’m too lazy to go full speed on the first comment. I still saw it first, I just didnt post “first” for a long time, but someone needed to pop this blog’s post cherry.